In Europe, cultural & creative sectors account for 7 million jobs and €509 billion in GDP. Reinforcing them is an astute move as they won’t be relocating anywhere. That involves strong copyright – as we have said before, birds have wings, creators have copyright. Clarifying the position of platforms is essential. The European Parliament is looking at new copyright rules which would do just that. But big tech would prefer the status quo. That’s the biggest barrier creators and online start-ups face today - the incumbents hanging onto old world models. So concerned by having to face normal competition, big tech astroturf and invest heavily in anti-copyright campaigns. It didn’t stop the legal committee adopting the package on the July the 20th, after 18 months of solid reflection. 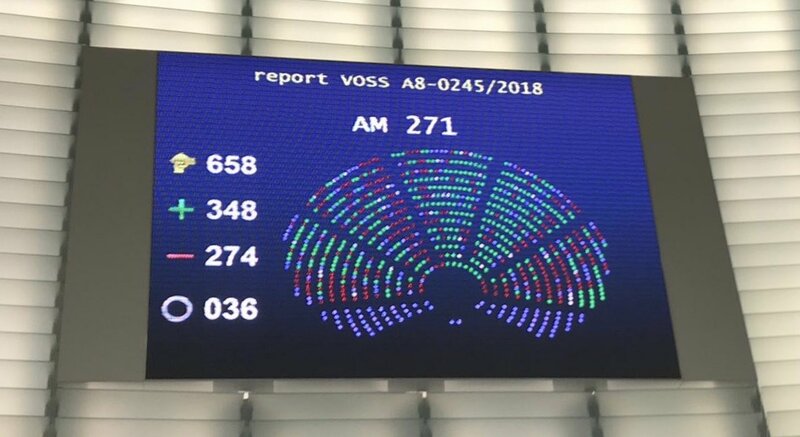 Julia Reda and the Pirate Party of course challenged the vote, so it now goes before the full plenary on the 5th July. The level of manipulation and disinformation by big tech companies has been ramped up and has caused concerns in several countries including Denmark (here), Germany (here) and France (here). And just a few days ago, the Financial Times was sent evidence that Google was trying to manipulate the press into opposing the new copyright rules. Yes you heard it – manipulating the press. And this is on top of influencing academics for years. We need our democratic institutions to be free to address whatever burning questions they feel are important to make the internet fair, sustainable and balanced for all. If we want a market that’s fit for copyright in the digital age, getting platforms to pay fair and play fair is key. The aim of the value gap solution (Article 13 of the proposed new copyright directive) is simple. It will clarify that if you are in the business of distributing music, you are covered by copyright and need a licence. The disinformation campaigners say what’s being suggested would impose upload filters and be the end of the internet (again…). Another tactic used by big tech is to try and pass off the new rules as a present for major music groups. More than 80% of new music is released by small and micro music companies and self released artists. That’s what this is about. Together we are the biggest investors and risk takers in the music business today and we expect a competitive and frictionless digital market. We don’t need the value gap stifling innovation and dragging down our artists and fans.